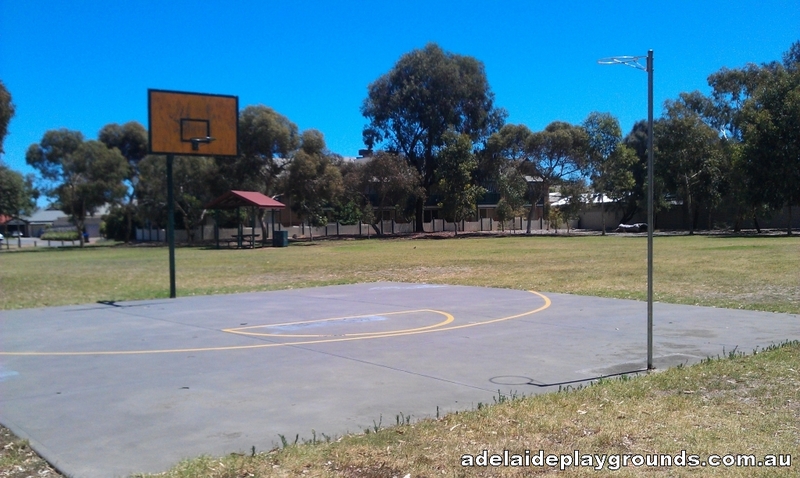 This large reserve has lots of grass to kick a ball, plus a basketball and netball ring to shoot goals. 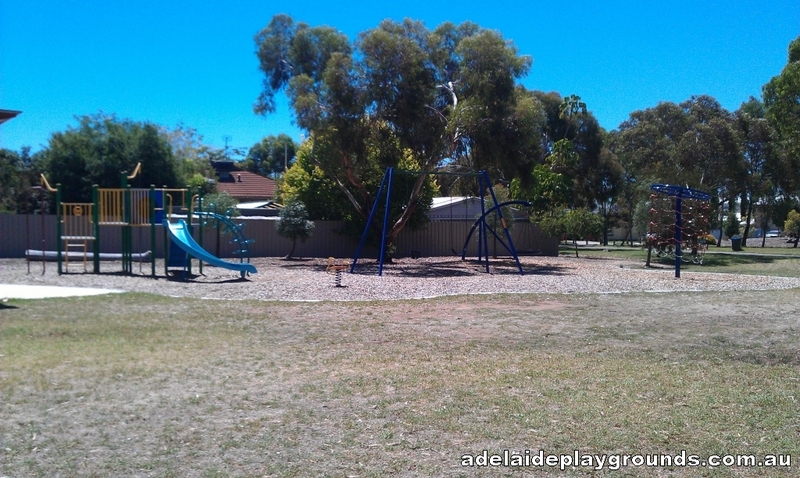 There is a good selection of gym equipment and of course some play equipment for the kids. 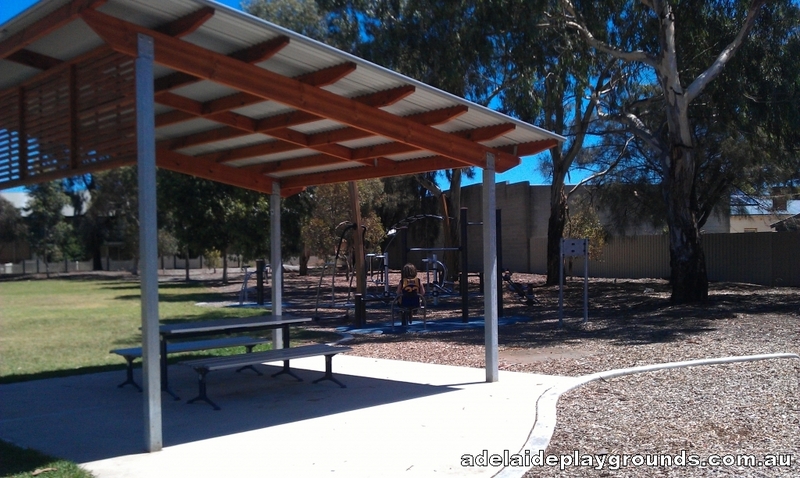 An undercover picnic table is available to use also.